The U.S. military asks them to create water filtration technology designed for troops. Global health nonprofits seek technologies from them to help filter safe drinking water in developing countries. And outdoor sport enthusiasts have increasingly chose the science in the Mountain Safety Research and Platypus brand lines. Still, though, this high-tech water lab has remained largely under the public radar. What is the MSR Water Lab? Created by Cascade Designs, owners of the Mountain Safety Research brand, this 1,336-square-foot water lab was built in 1997 in Seattle. As a Biosafety Level 2 Lab capable of housing live pathogens (think: viruses and bacteria), one of only two outdoor industry labs in the world (the other is in Switzerland), the MSR water lab takes the largely unregulated world of portable water filtration and puts an abundance of science behind it. While potable water has regulations aplenty, you can make any claim you want about portable water filters without falling under those same guidelines. In the MSR lab, scientists and engineers build ceramic filters, hollow-fiber filters and half a dozen types of high-end filters for public sale. And, of course, plenty more for specialized projects. 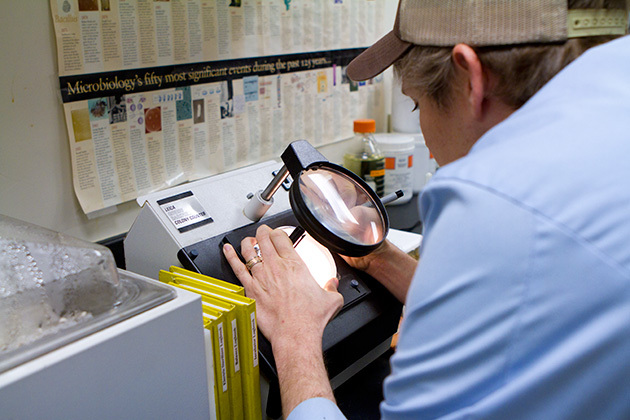 The lab can test for any sort of bugs, protozoa, bacteria and viruses. As a Level 2 lab, MSR tests with live bugs, setting it apart. What are the implications in the world of outdoor adventure? When MSR preps a new water filter for the market, they can test with live bugs and in the outdoor field. But not all the water filtration designs you may use for your backpacking trip were designed for just that, as MSR can take ideas from medical—one evolved from a kidney dialysis system—military and more. Barchet says the money from special projects allows the research into water filtration to go far beyond what others can do, helping the MSR outdoor product line. ​Tim Oriard, lead water investigator for the lab, tells Edge that while they can create a 200-pound refrigeration-size unit that costs $5,000 to pull sarin nerve agent from the water, he knows that has no practical use to a backpacker. But the science might. Whether ceramic, glass or hollow-fiber, water filtration from this lab works to clean water using filters, not only chemicals or absorption. All three applications actually block bugs from proceeding through the filter into your water. Ceramic/carbon and glass matrix have a smaller surface area than the newer hollow-fiber product, popular for its large surface area. 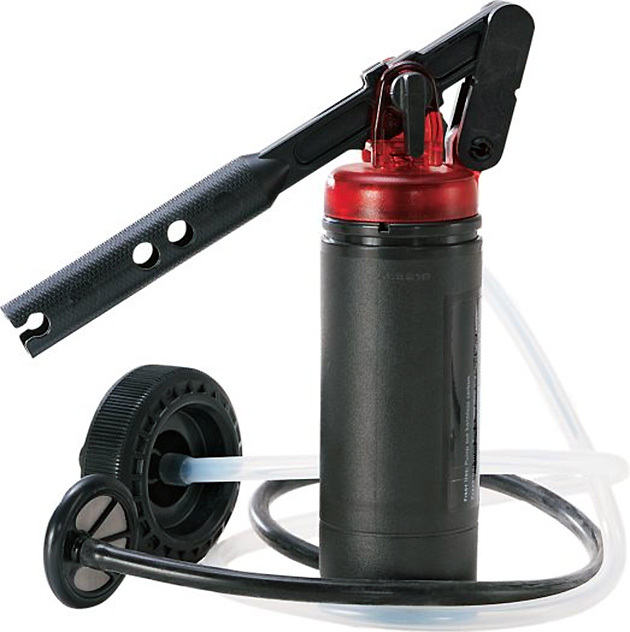 Either way, MSR has the top-selling pump filter in North America for the last 20 years. High-end technologies don’t come without intensity. While not always the case, the weight and size of MSR products can go a bit beyond what an average outdoor enthusiast is accustomed to in a water bottle. That said MSR products fall in the standard weight and size zone in the category and continually work to refine the size of products, all without losing any of the science and research from the water lab. The MSR Hyperflow is one of the lightest pumps on the market now. ​​Who’s using the MSR Water Lab? Working together with the military and global health non-profit organizations, the outdoor adventurer benefits from MSR’s access to cutting edge research. For example, MSR’s finest membrane filtration fibers came from military-based research. The story follows with hollow-fiber filtration. “Now we are advancing to even more advanced fibers that get all the viruses and that also came out of the research we did,” Oriard says. What’s the future of the lab? True portable water purification. Legally, a water filtration system can’t be advertised as a “purifier” without proof of a microbial reduction in all three categories of microbes— protozoa, bacteria and viruses—to a minimum standard. A new self-cleaning hollow-fiber pump purifier, the MSR Guardian, coming in summer 2015, will add in the ability to purify viruses, along with the other two in an outdoor adventure product, a first for the market. “The development is almost finished and we are getting manufacturing up to speed,” Barchet says. Filtered, purified and drinkable. The MSR Water Lab has accomplished these feats for nearly every facet of our world’s drinking needs, not the least of them being outdoor enthusiasts.